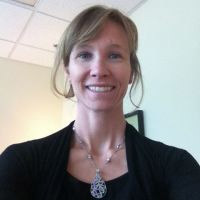 Kaitlin is a Licensed Clinical Social Worker and an individual and family therapist for children from ages 3 through adolescence as well as adults. Marriage and couples therapy comprises a large part of her practice. Co-parenting sessions are offered as well. She received her Bachelor’s degree in Psychology from Penn State University with a minor in Human Development and Family Studies. She then received her Master’s degree in Social Work from Temple University in Philadelphia, PA. She has extensive experience in outpatient, residential, and inpatient psychotherapy. Kaitlin has a special interest in nutrition and relaxation techniques and has worked with many individuals with difficulties with anxiety and depression. She also has training in parenting education and support as well as family discussion facilitation.